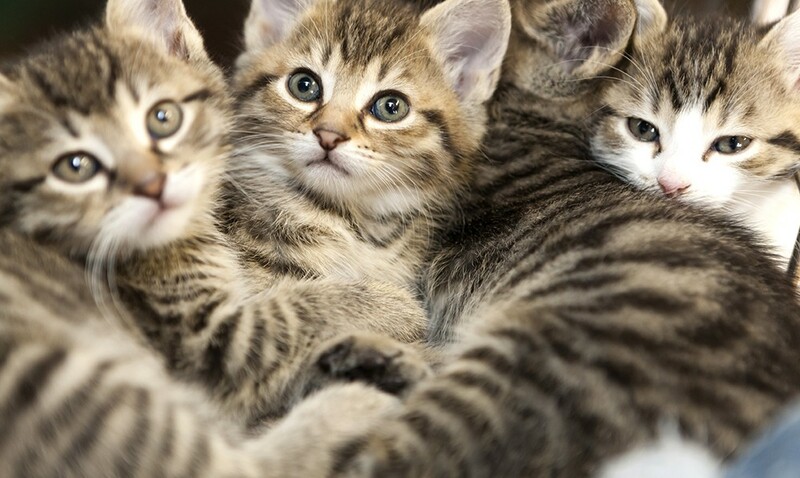 If you are interested in adopting a cat from Shamrock, download and complete our Cat Adoption Application. You will need Download Adobe Acrobat Reader to view and submit the application. Go to the “adoptions” tab on the website. Click on the cat adoption application to open it, and download it to your computer. Close the file. Open the filled-in file, click on SUBMIT. When a window comes up that says “Send Email” at the top, select “Default email application” and click on “Continue.” The window that comes up next says “Form Returned…” at the top. This gives you a chance to write us a note and change the subject line* before you click SEND. Once we receive your application, we will send you a note to verify we got it. If you don’t hear from us after 24 hours, please resubmit it or send it to us at cats@shamrockpets.com as an attachment to an email. 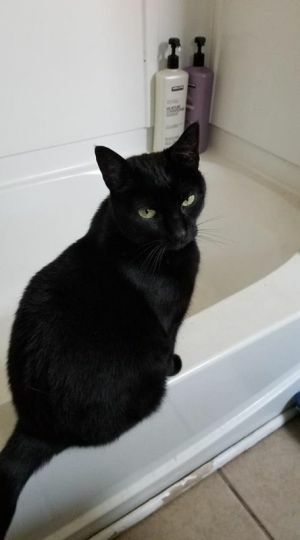 He is a 5 year old male cat, big and lanky weighing 12 lbs. This kitty is very friendly. He likes cats, dogs, and people. He is "everyone's friend." Agent Orange as been living in the same household as Cat. These cats have been around each other for a long time, so it would be nice for them to go together, but they can be adopted separately. His person has health issues and can no longer keep him. 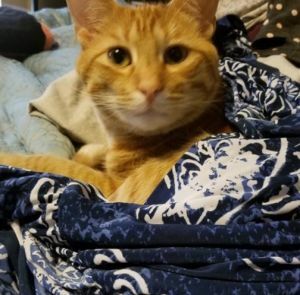 Agent Orange is in need of a new forever home. Both Agent Orange and Cat can be seen at Feeder's Supply on Baxter Avenue. 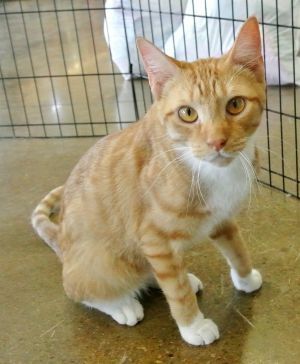 If you are interested in adopting Agent Orange and/or Cat, contact Barbara Berry at 502 649-0642. He is a 1 1/2 year old male kitty. He is super friendly and loves everyone! Bam Bam loves to flop over for a belly rub. He is a beautiful loving cat. He may need antibiotics periodically due to a chronic condition. Bam Bam is one in a million! For more information, call Barbara Berry at 502 649-0642. She is a 7 year old kitty, average size about 8 lbs. She is a little shy at first but warms up to people quickly. Cat has been living in the same household as Agent Orange. It would be nice for them to be adopted together. However, they can be adopted separately. Both Cat and Agent Orange can be seen at Feeder's Supply on Baxter Avenue. If you are interested in adopting Cat and/or Agent Orange, contact Barbara Berry at 502 649-0642. He is a lovable guy and would love to be loved by you! Coconut is around four years old. His vaccinations are current and he is neutered. Coconut is ready for his forever home. Hank is a five year old kitty. He is soooo sweet! Hank wants a loving home. He is a very healthy FIV cat. His vet said that he is perfectly safe and would make a great pet. If you are interested in adopting Hank, contact Barbara Reynolds at 502 802-4032. She is a sweet torbie (Tortoiseshell/Tabby), just three years old. She has been socialized and is ready for her forever home! 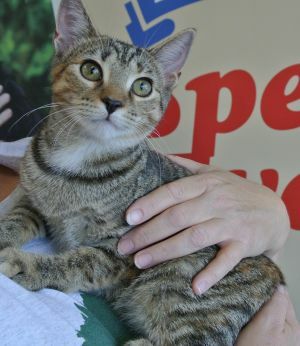 Laverne has been spayed and is up-to-date on her vaccinations. If you are interested in adopting Laverne, contact Kathy at 502 931-5635. She is a beautiful, one year old kitty! 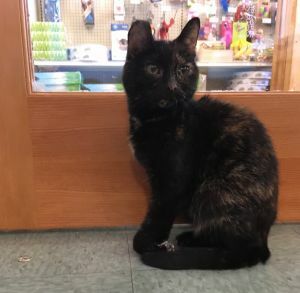 Lilly is extremely loving and wants to be with people. She loves to be petted. Lilly is in need of a forever home. If you are interested in adopting Lilly, contact Barbara Reynolds at 502 802-4032. Maggie is a 14 year old kitty. Her person has health issues and can no longer care for her and her feline housemate, Maud Emmaline. Maggie is sweet and friendly. She loves to sit in laps. Maggie has a cripple foot but does not let that stop her one bit. 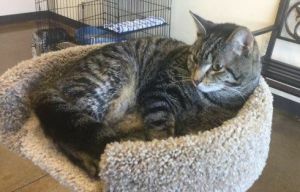 Both Maggie and Maud are just hoping for a quiet, loving home where they can live out their lives in comfort and peace. They would be fine together or separately. Maggie and Maud can be seen at Feeder's Supply on Baxter Avenue. If you are interested in adopting Maggie and/or Maud, contact Barbara Berry at 502 649-0642. Maud is a 14 year old kitty. Her person has health issues and can no longer care for her and her feline housemate, Maggie May. Maud is very sweet and friendly. She loves attention and likes to be with people. 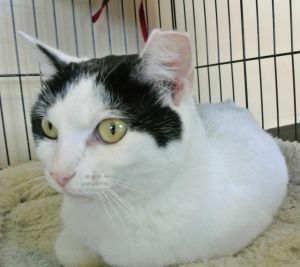 Both Maud and Maggie are just hoping for a quiet, loving home where they can live out their lives in comfort and peace. Maud and Maggie can be seen at Feeder's Supply on Baxter Avenue. If you are interested in adopting Maud and/or Maggie, contact Barbara Berry at 502 649-0642. She is a sweet two year tabby cat. Olivia is easy going and calm. She is in need of a forever home. If you are interested in adopting Olivia, contact Barbara Reynolds at 502 802-4032. Penny is about 5 years old and has been waiting quite awhile for her forever home. She is ready for her permanent home! 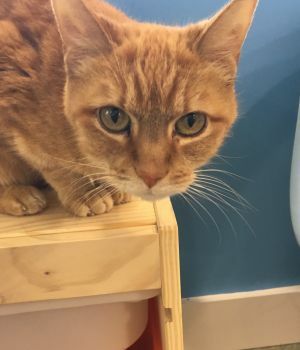 Penny is currently living at the Lucky Cat Café and Lounge, 2230 Dundee Road in Louisville, KY with other adoptable cats! 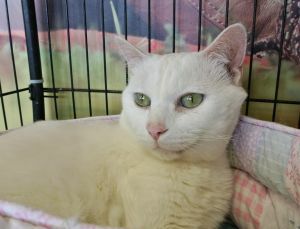 You can visit with Penny or other Shamrock cats there! This is Randy. 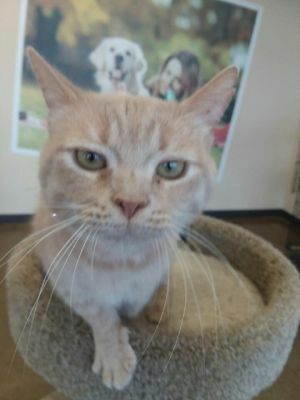 He is a one year old male orange tabby cat! 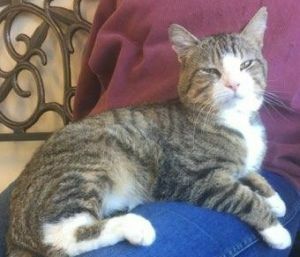 Randy is a happy, playful young adult kitty. 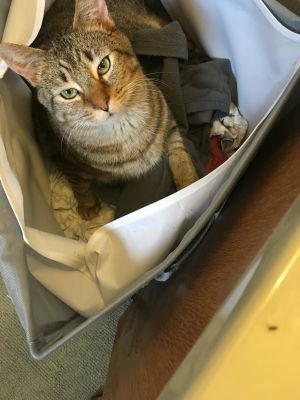 He is in need of a forever home. 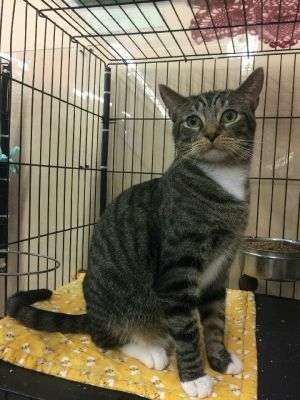 He is a 2 year old tabby. Sox is calm and sweet! He loves to play with his toys! Sox is ready for his forever home. This is Tom. He is a sweet 2 year old boy. Tom is a lap cat. Tom is ready for a forever home. If you are interested in adopting Tom, contact Barbara Reynolds at 502 802-4032.